Did you know that when you’re in total darkness and you wave your hand in front of your face, your brain thinks it can see your hand and tricks your eyes into ‘seeing’ it? 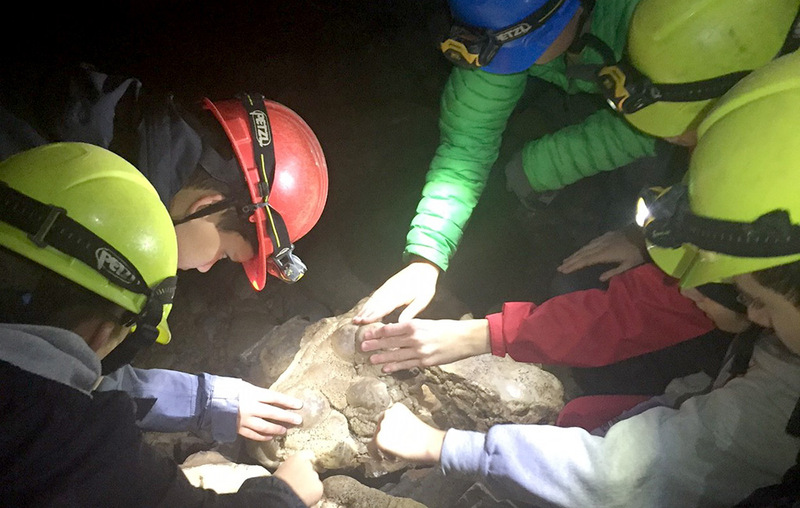 That’s just one of the fun facts the 11th Seymour Scouts learned while exploring Horne Lake Caves on Vancouver Island. We travelled by ferry from Vancouver to the caves on Vancouver Island, where the youth cheerfully unpacked their equipment and set up their camp by headlamp in the rain on the lakeshore. The Scouts had wisely sorted and checked the equipment in their Patrol boxes in advance, but as we attempted to make hot chocolate to warm us up that first evening, we quickly realized the Scouters, responsible for the propane stoves, had missed this crucial step. We had no connectors for the stoves! Hot chocolate plans were abandoned – and both Scouts and Scouters learned a valuable lesson (although I’m not sure if the Scouters will ever live it down!). The Scouts had planned their own menu and food shopped. Having purchased new connectors for the stoves from the nearest town, they enjoyed Halloween candy with their morning cinnamon pancakes, and, later that day, their mouths watered at the sight of the Scouters’ steak dinner. They vowed to incorporate steak into their next camps’ food budget – and successfully did for a subsequent camp before Christmas! 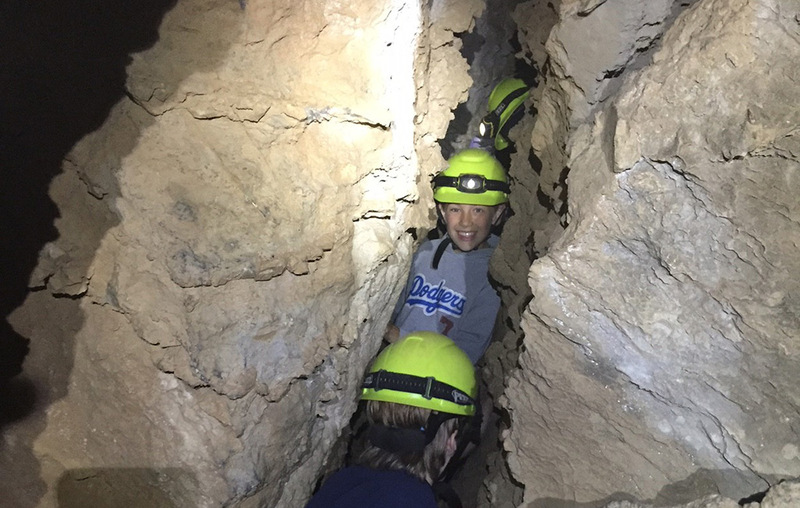 We spent a full morning exploring two never-ending caves with a guide, which the Scouts had decided was essential given our Groups’ lack of caving experience and our desire to access some of the deeper chambers. In addition to trying the ‘waving hand’ trick, we clambered up over riverbeds and ladders to places with zero natural light, which we discovered is the technical definition of a cave. The Scouts were able to climb a rock waterfall – fortunately (or unfortunately!) – with no water flowing – to access the innermost recesses of the caves and hopped onto an indoor slide once at the top to return to the bottom. On the way out, we had the option of going back out the way we’d come in, in itself a quite narrow, have-to-go-sideways passage, or attempting the ‘Cheese Grater’. This involved taking off jackets and any other clothing that might get caught and employing the skills of a contortionist to squeeze out. Guess which one the Scouts chose? It was a memorable end to our caving adventure!